Corn silk, the silky soft tassels emerging from the top of an ear of corn as it matures, has a number of health uses. If left on the cob, it will brown and wither, indicating that the corn is ready to harvest. Pick the corn silk tassels when they are still yellow and silky, resembling shiny blond hair, for use in herbal medicines and supplements. Sipping corn silk tea, because of its diuretic properties, may reduce water retention and swelling in extremities as well as reduce the symptoms of premenstrual syndrome associated with water retention, according to Natures-Health-Foods, an online health food information source. By removing excess fluid from the body, corn silk may be beneficial in treating high blood pressure and gouty arthritis, reports the Pax Herbal Clinic, a website that supports herbal research and education. It may also be helpful in eliminating bed-wetting in children, according to STD Pioneer. Consult your doctor before using corn silk to treat any medical condition. 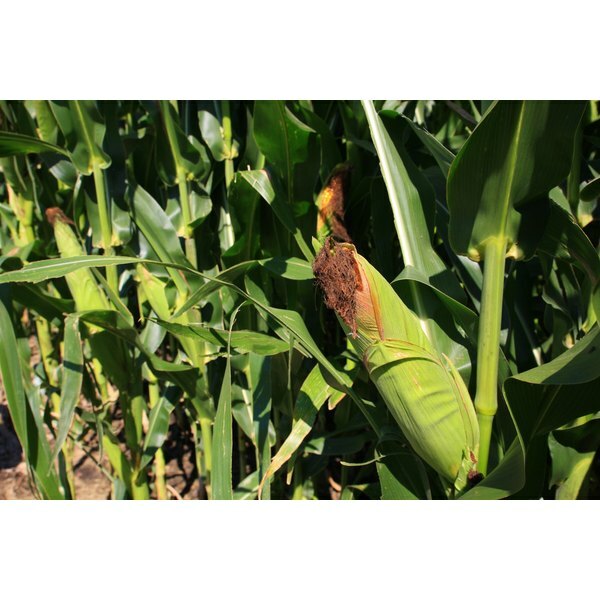 Corn silk may enhance blood clotting, according to Naturopathy Digest, an informational website explaining naturopathic medicine and detailing practical alternative treatments. A standard dosage of corn silk is up to 30 grams, steeped in boiling water and sipped as a tea. Do not use corn silk if you’re already taking medications for blood clotting. In addition to an herbal tea, corn silk is available from health food stores in capsule, powder and liquid extract forms. Use herbal remedies under a doctor’s supervision.